Sod cutters are used for removing old sod in preparation for new lawns, sidewalks, driveways, gardens and more. 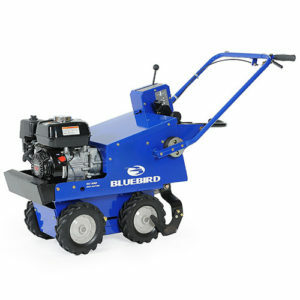 Toomey's rents a BlueBird SC550a Sod Cutter which has 18" cutting blade with a cut depth of up to 2.5". 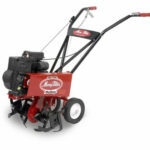 This sod cutter weighs approximately 330 lbs and is 26" wide, 60" long and 40" height. It features a five-speed gear selection, pistol-style handle arrangement and simple depth setting. Sod cutters are used to remove old, dying sod to make room for a new lawn. These machines are used to remove good sod from one location (possibly the site of a new garden) so that it can be moved somewhere else. 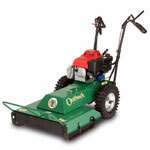 Our power sod cutter will create an 18" wide strip that can be rolled or cut into "tiles" for easy transportation. If you're planning on planting a new garden Toomey Rents typically recommends using a sod cutter first. Once the area is clear, you can lay new soil and then use a rototiller to establish a good planting bed. 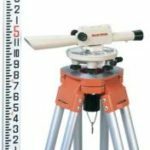 Can I use a Sod Cutter? 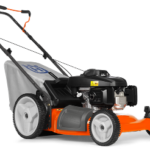 There are a few things to consider before renting a Sod Cutter. 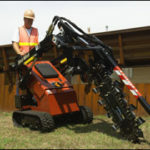 First, these machines work best on flat, level terrain and cannot handle roots or large rocks. If you see exposed stone, or are near a large tree, you probably won't be able to use a sod cutter. Chances are these types of restrictions also mean that the area isn't ideal for planting, too. Cutting and rolling sod is also a labor intensive job. Make sure you have enough help to roll and remove the sod once you've finished. Lastly, there's the question of what to do with the sod. Fresh cut sod can be used for patching dead spots in your lawn. Some people have also had success selling it or giving it away on Craigslist. 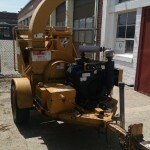 Due to the size and weight of this machine we require a pickup truck, cargo van, or landscaping trailer for transportation. It will not fit in an SUV or station wagon.